In 2012, a McKinsey Global Institute report found that by fully utilizing social technology in your business, internal communications can improve and productivity levels could rise by 20 – 25%. With forecasts as promising as that, surely every business has implemented internal social media by now? Yet almost 7 years have passed since then, and fears surrounding the adoption of internal social media (ISM) are still circulating, especially in the HR industry. The most common fear from HRs is that internal social media will be abused by staff, who may use the platform to hold inappropriate conversations or share confidential information about the business. But these fears about ISM are unfounded. Claromentis CEO Nigel Davies explains that, in his experience, staff are well versed in understanding “the distinction between personal and business social media channels and to use them with care.” Employees should be awarded a level of trust, and any ambiguities about usage can be clearly defined in an ISM policy. Unsubstantiated fears aside, upsetting the status quo can be another factor that puts a stopper to implementing internal social media. Chief Advisor of HR Tech Advisor, Ward Christman, explains that HR professionals are by their nature risk-averse, which prevents them from introducing new technologies. And whilst this might be acceptable in the short term, long term this isn’t going to cut it – “the old-school tools [… ]won’t be well-received in the future”. Employee relations with HR are at an all-time low. A recent study published in HR Daily Advisor showed that 75% of workers receive communications from HR “never or rarely”, or just “sometimes”. 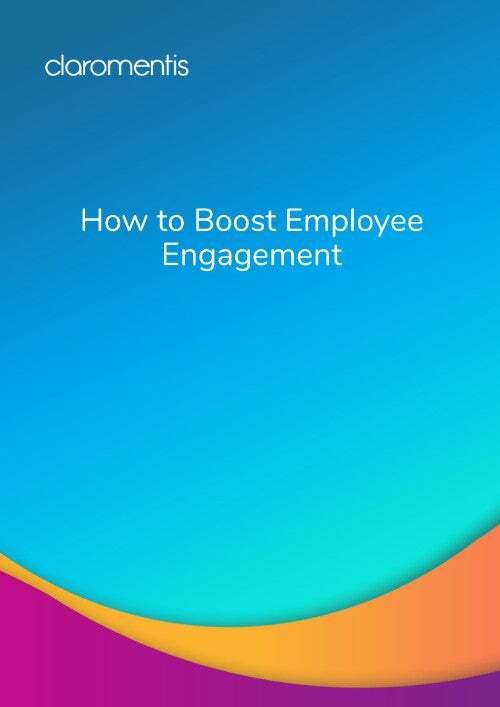 Only 16% reported that the HR communications they receive make them feel “connected and engaged”. And the main reason for these shocking stats? The limitations presented by old systems or low-tech approaches. Now is the time to shake up the status quo and let go of the scaremongering that’s holding back ISM implementation. ISMs, also known as corporate social networks or enterprise social networks (ESNs), provide an ideal forum for HR teams to communicate with staff. ISMs invite open two-way conversations, so that any communications posted by HR can be discussed, clarified, and open to questions. The traditional method of HR comms, the mass email, is simply not working anymore, making employees feel disconnected and disengaged from the HR department (see above). And it’s no wonder. Receiving the occasional email with a list of HR updates hardly feels engaging. ISMs also provide more than just a place to communicate online. The same 2012 report by McKinsey explains that when fully embraced by businesses, ISMs become beacons of knowledge. Every message, question, answer, debate, and insight posted on the ISM is stored and searchable, reducing the time employees spend on searching for information by up to 35%. It’s clear that the time savings, productivity gains, and employee engagement potential obtained from implementing ISMs are huge. 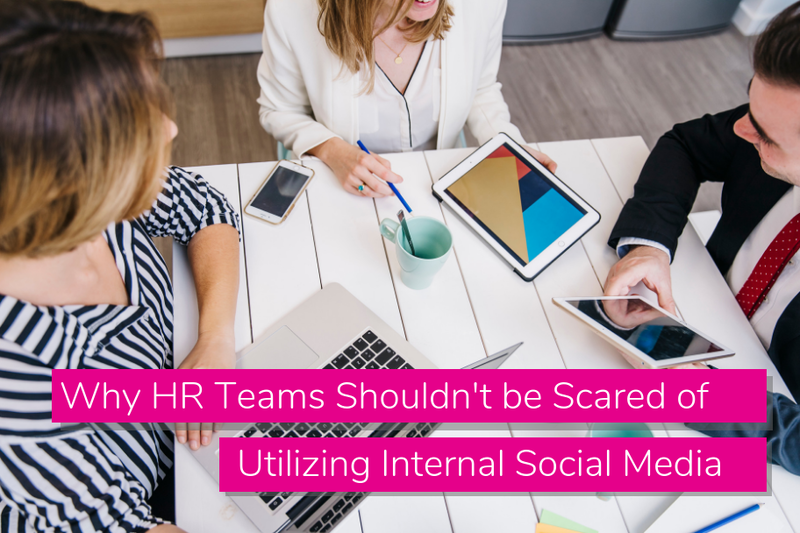 Internal social media for HR teams is vital in helping make a lasting and sustainable impact on the employee experience and to improve HR communications. How to Improve Intranet Adoption Rates with One Simple TrickHow Will AI Impact on Your Digital Workplace?